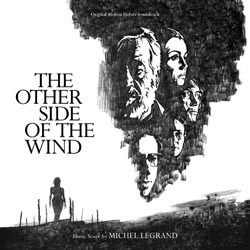 This is three-time Academy Award-winning composer Michel Legrand’s (SUMMER OF ’42, THE THOMAS CROWN AFFAIR, ATLANTIC CITY) very last musical score to the acclaimed motion picture THE OTHER SIDE OF THE WIND, starring John Huston and directed by Orson Welles. As producers Frank Marshall and Filip Jan Rymsza painstakingly completed this unfinished Orson Welles film, they came upon a note in the master filmmaker’s diary that indicated, “Call Legrand for the music.” And so the producers did just that, and maestro Legrand honored the great Welles’ request with a brilliant follow-up to his earlier effort for the director, “F for Fake.” With THE OTHER SIDE OF THE WIND, Legrand weaves classical and jazz motifs into a score for both a Hollywood party and the experimental music for the “film within the film,” capturing Welles’ complex and experimental vision in a fitting final work of musical genius. Before his untimely passing in January 2019, Legrand personally chose the selections and sequencing for this album, which was produced and mastered by Mike Matessino in consultation with the filmmakers and Legrand’s associates. The CD booklet contains a personal note from the composer. The sleek art design is by Jim Titus.